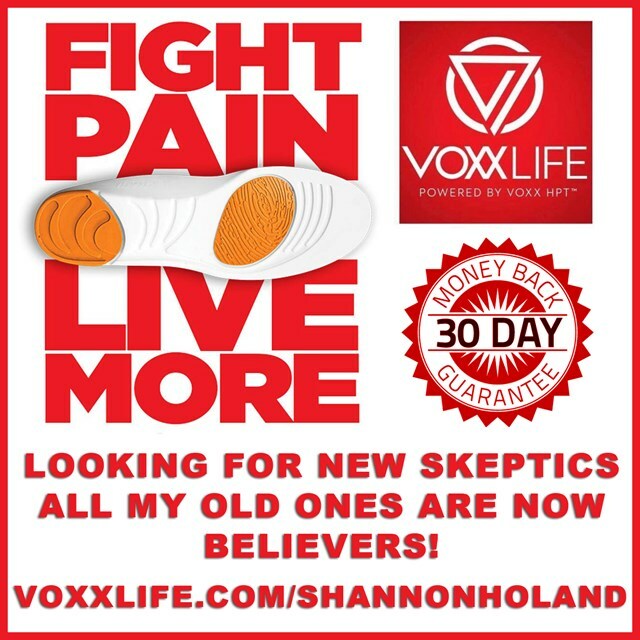 Whether you’re a senior feeling unbalanced on your feet, a chronic pain sufferer in dire need of relief, or an athlete who would like to take your performance to the next level, Shannon will demonstrate how VoxxLife products can instantly improve your balance, stability and range of motion. VoxxLife is a Canadian sports and wellness technology company devoted to drug-free wellness, improved human performance and optimal health. Their neurological socks and insoles allow people of all walks of life to enjoy an improved quality of life and achieve their true potential. VoxxLife products are a safe, affordable, natural, drug-free alternative for pain management, optimal health, and peak performance. With a 30-day money back guarantee you’ve got nothing to lose but pain!